This is a common problem among human that sometimes you feel like your nails are getting dull and unhealthy. You feel pain while breaking the nails. The layers of nails are made of laminated proteins called keratin. You can distinguish all your nails to know if they are unhealthy or healthy. Healthy nails would always be smooth and exact in color without any discoloration, pits or trenches. On the other hand, if you compare weak nails then you will get noticed that it will break easily and do not grow faster. Weak nails have identification that they will be discolored and yellow. Like your skin and hair, you should also care your nails because every part of your body needs proper care. If not caring properly, they will be bitter and dried. Other causes would be long time exposure to sun or chemicals, detergents and nail paints are the main reasons behind the weak nails. Olive oil tends to be excellent for weak nails because it helps in moisturizing the nails. Damaged and soften nails will repair the weak nails. Take a little amount of olive oil and massage it with some warm olive oil by covering both the top and underside of your nails. Wait for at least 20 minutes then wash it off with water. Do this remedy 3 times daily. Optionally, in a bowl, add 3 tsp of warm olive oil and 1 tsp of lemon juice then mix it together then apply this mixture to your nails with the help of cotton swab. Let it dry then wear soft gloves. Do this remedy regularly before going to bed then in the morning, rinse it off with warm water. Green tea works greatly for weak nails and make it strong. Green tea contains antioxidants that help in preventing the brittle nails. Green tea replaces the discoloration. Boil a cup of green tea for 10 minutes then let it cool down. Now soak your nails for 15 minutes two times a week. You can also mix 2 tsp of green tea with a pinch of salt and few drops of wheat germ oil. Soak your nails in this mixture for 5 minutes then wipe it off using a soft cloth. Repeat this remedy twice a week. Mix few drops of green tea essential oil with coconut oil then massage your nails with it twice a week. Tea tree oil is also very beneficial for having stronger and healthy nails. The damaged or hanging nails can be repair with the help of tea tree oil. It has very synthetic antiseptic properties due to which it helps fight against fungal infections that are most probably the reason behind weak and brittle nails. In a small bowl already filled with warm water, add few drops of tea tree oil then soak your nails in this water for at least 3 minutes. Do the remedy few times a week. Another way is to prepare a solution with ½ tsp of vitamin E oil or jojoba oil and 5 drops of tea tree oil. Apply the mixture on your nails then massage gently for some minutes. Let it dry then wash it off with lukewarm water. Follow this remedy only once a week. Flaxseeds also do the magic on your nails due to the presence of micronutrients in them. Those nutrients are B vitamins, magnesium, potassium, lecithin, zinc and protein and of course these nutrients are generally meant to be powerful for your nail health. On the other hand, it also possesses omega-3-fatty acids necessary for healthy nails. Take some quantity of flaxseed oil then rub it on your nails then massage gently for few minutes. Do the remedy before getting sleep and wear gloves to retain moisture. You can also eat flaxseeds included in your daily diet. Add 2 tbsp of ground flaxseed to your smoothies. Vitamin E oil is also amazing for the stronger and healthier nails. Your nails will always be hydrated if you are using vitamin E oil regularly. Buy a vitamin E capsule then break it to extract the oil. Apply this oil on your nails then massage it gently for few minutes. Before going to bed, do this remedy for few weeks. Apple cider vinegar is versatile in nature as it has many types of nutrients like magnesium, potassium, calcium, and iron that promote the nail growth and improve its health. Another thing about apple cider vinegar is that it is acidic in nature so it readily preventing the fungal infection. Take equal amounts of raw, unfiltered apple cider vinegar and water in a small bowl. Soak your nails in this mixture for 10 minutes. Do the remedy once daily for some weeks. Another way to prepare a remedy is add 1 tsp of raw, unfiltered apple cider vinegar in a glass of water then drink it 3 times a day. Beer contains a rich amount of silicon that helps in treating the weak nails. Along with silicon, it also has selenium, potassium and biotin. Take 1 tbsp of olive oil and slightly make it warm by putting it inside the microwave. Now mix 1 tbsp of beer and apple cider vinegar. The solution is ready to soak your nails in it. Use this remedy few times a week. Regular massage would also be good for your nails because it helps in the improvement of blood circulation and make it stronger and healthier. Use moisturizing lotion, nail cream, almond oil or coconut oil to massage the nails. Apply the oil you chose on your nails. Massage with gentle hands for 10 minutes. Wear cotton gloves the go to sleep. In the next morning, wash your nails using warm water. Follow the remedy daily for several weeks. Biotin is necessary required for your body as it effects on your nails. The B vitamins that are soluble in water are needed for the thickness and hardness of your nails. Taking insufficient amount of biotin will make your nails dry and damage. Take foods rich in biotin such as carrots, corn, salmon, egg yolks, soybeans, lentils, fortified cereals, peanuts, sweet potatoes and almonds. 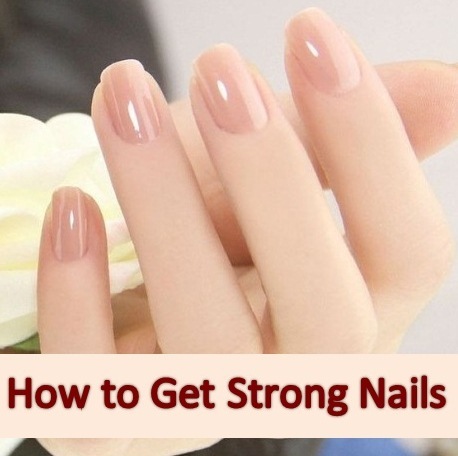 Biotin supplements can also be taken to make your nails stronger. Consult the doctor for the proper dosage. Increasing protein intake in your diet would also be beneficial for healthy growing nails. Keratin is a kind of protein is required in an adequate amount to your nails. Lack of protein intake will make your nails weak and cause patches and spots on it. Take protein rich foods in your diet like chicken, eggs, lean meats, nuts, seafood, low-fat dairy, soybeans, beans, quinoa, and tofu. Drink protein shakes and to take protein supplement, consult your doctor first. 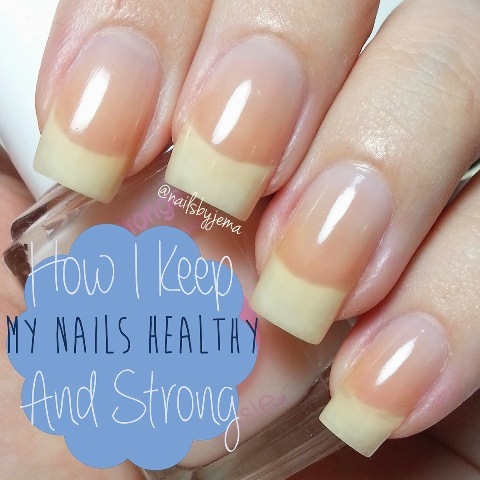 Allow your nails a proper time to recover so be patient. Avoid nail paints and fake nails. Rescue your nails exposure to harsh chemicals. Avoid spending most of your time in water as it will soften your nails then your nails would break easily. Wear gloves while working with your hands. Cut your nails and keep them short sized always. Make sure to not cut your cuticles. 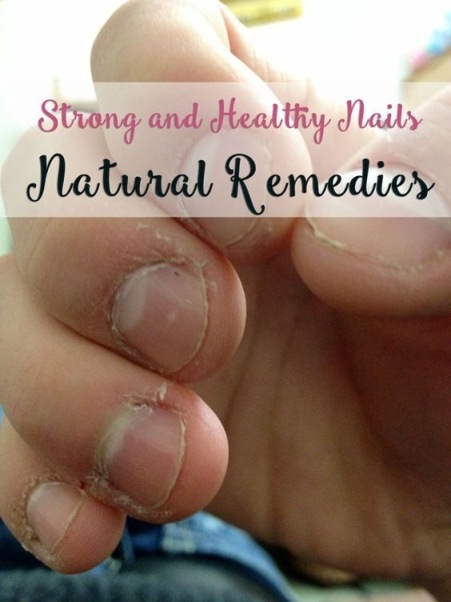 Do not pick things and hard surfaces with your nails. After taking shower, dry your nails and apply a moisturizing lotion. Do manicures and pedicures in regular basis for at least once a month.